Sneak Preview is a 7th grade orientation program that was created several years ago by two Herrick staff members: Mrs. Julie Quinlan (Herrick School Counselor) and Ms. Julie Frank (Herrick 7th grade Math Teacher). Sneak Preview was a huge success and within a year or two it was picked up by the other middle school in District 58 - O'Neill. For the last few years, the cost of Sneak Preview (including busing) has been covered by the Downers Grove Education Foundation! Sneak Preview runs for 2 days before the school year starts - August 16 & 17. All of the Sneak Preview activities are designed to help ease the transition to Herrick. 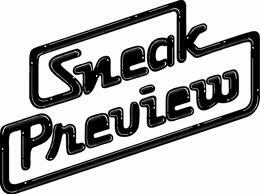 For more information about Sneak Preview, please call the office at Herrick 630-719-5810. We are also planning on having a Back To School Night!. At the back to school night, students will receive their class schedule and their lockers. Students, with their parents, will have a chance to walk through their schedule to find all of their classes. This is also a great time for students to decorate/organize their lockers. Please check the Herrick website for more information and specific dates.